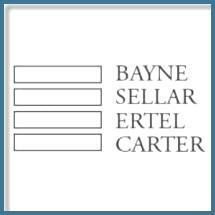 Bayne Sellar is a team of leading Ottawa criminal lawyers and a defense law firm located in Ottawa. Practicing since 1972, the firm's founder Donald Bayne is one of Canada's preeminent defense counsel. The firm's practice is restricted to criminal law and includes both trial and appellate advocacy. Professionalism and integrity is delivered to every client. You can expect confidentiality and have our guarantee that details of your case will not be posted on our website. Although we are frequently retained in high profile and sensitive matters we know that to each and every client their case is the most important. Bayne Sellar has well over a 130 years of experience defending every type of criminal offence including murders, sexual assaults, war crimes, commercial frauds, tax evasion, drug offence, domestic assaults and driving offences. In addition to traditional criminal law the firm has acted for professionals of all kinds including lawyers, doctors, pharmacists, nurses and police officers in professional discipline matters. In addition to acting for individuals the firm has been called upon to act for some of Canada's best known corporations. Counsel of the firm has appeared for main participants in the Maher Arar, Air India, Somalia and Iacobucci Public Inquiries adding to the firm's experience and expertise. Avoiding the devastating consequences of a conviction or unfounded allegation by defending your rights and freedoms is our sole purpose.